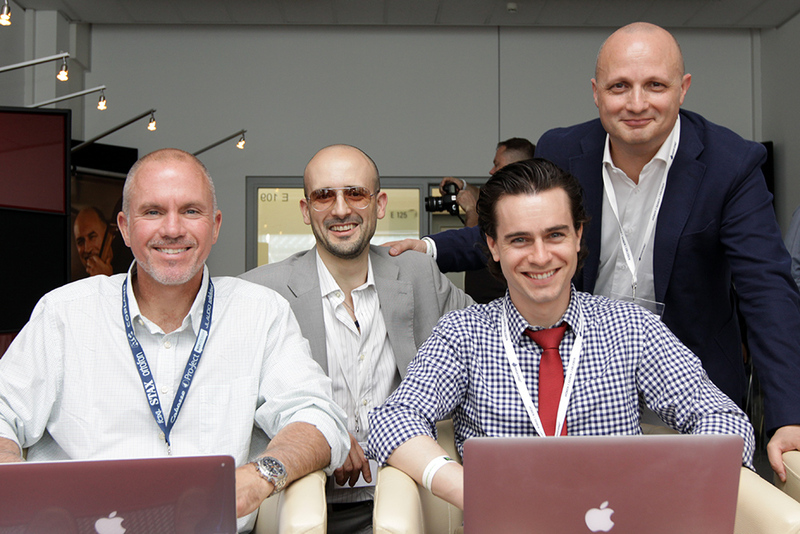 SoundStageNetwork.com | SoundStage.com - High End 2015 Coverage Has Begun! High End 2015 Coverage Has Begun! The SoundStage! Network is pleased to announce that coverage of High End 2015 has begun. High End is held annually in Munich, Germany, and is now considered to be the world’s top hi-fi event. High End 2015 began May 14 and will conclude on May 17. On site are Jeff Fritz, Hans Wetzel, and Doug Schneider, who are currently working to provide on-the-spot coverage for SoundStage! Global, the SoundStage! Network’s purpose-built site for show reporting, company tours, and product introductions. Shown in the photo above are Jeff Fritz and Hans Wetzel (front row), along with Francesco Rubenni and Enrico Fiore of Rosso Fiorentino, whose new speaker, the Elba, is featured in the first day’s coverage.